A coalition of student clubs within four Capistrano Unified School District high schools began petitioning this week to install solar panel arrays on every high school campus in the district. The “Dear Capistrano Unified School District: Let’s Go Solar!” petition on change.org launched Monday and had already garnered more than 230 signatures Thursday afternoon from students, parents, faculty and supporters interested in reaping the benefits of utilizing solar energy in schools. 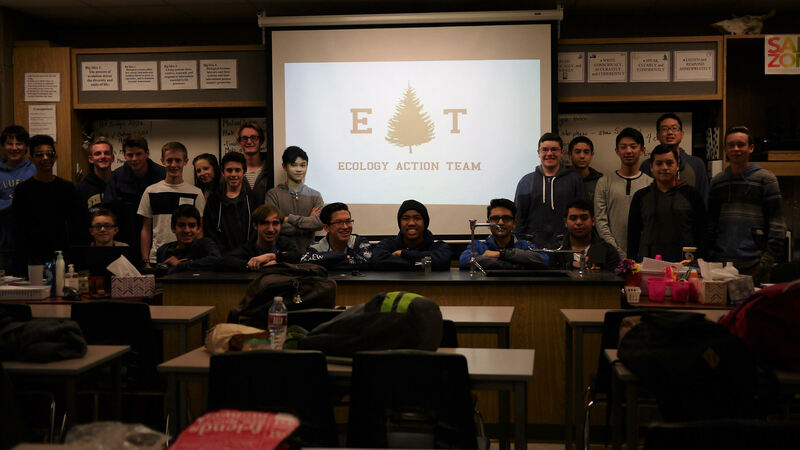 The San Juan Hills High School’s Ecology Action Team, led by sophomore and club president Russell Tran, has taken charge of the student-led movement with assistance from KyotoUSA, a Berkeley-based nonprofit organization that works with cities, public school districts and communities to develop strategies for reducing greenhouse gas emissions. Other clubs involved with the petition include The Ecology Club at Dana Hills High School, the Blue Oceans Club and SC Goes Green at San Clemente High School, and the Conservationism Club and Ecology Club at Tesoro High School. Tran said the idea to encourage the district to install solar panels has been percolating since his freshman year of high school when the SJHHS Ecology Action Team was advised by their principal that such projects are usually implemented district-wide, not just at a single high school. He met with KyotoUSA representatives at a Bay Area ice cream shop last summer and learned about the pro bono advice they give to school districts regarding energy projects. “You could say the revolution started in an ice cream shop,” Tran said. The San Juan Hills sophomore designed the www.cusdsolar.org website, also launched Monday, which lists an array of facts about the school district’s energy use compared to the benefits of installing solar panels, including the increased efficiency and lowering price of solar technology. He points to neighboring school districts in Los Angeles, Irvine, Newport-Mesa and Santa Ana that have successfully implemented solar array projects, and said following suit would mean helping the environment while cutting energy expenses and making a solid economic investment. Tran said the coalition of students will present their petition to the CUSD Board of Trustees at a future meeting. In addition to signing the petition, he encourages students looking to get involved to join one of their school’s ecology or environmental clubs. For more information on the student-led movement or to sign the petition, visit www.cusdsolar.org. Congratulations to our youth for their citizenship calling for the Capistrano Unified School District to go green with solar on their buildings and over their parking areas. Global warming is no longer a philosophical threat, no longer a future threat. It is happening now. Global warming has brought about major changes in global climate and, as a result of these changes, California is experiencing the worst drought in our recorded history, and it could get worse. Researchers from NASA, Cornell and Columbia universities are predicting an 80 percent chance of a mega- drought if climate change continues unabated. As the CUSD students have point out, “CUSD is not the first to go solar. Success speaks for itself: local school districts who have gone solar include Irvine USD, Redondo Beach USD, Newport Mesa USD, and Los Angeles USD. Irvine Unified School District, along with Redondo Beach, Newport Mesa and Los Angeles Unified School Districts began their transition to solar power more than a year ago. Overall, the IUSD’s solar program is estimated that it will ultimately reduce energy spending by about $305,000 a year, with a projected 20-year savings of approximately $9.6 million. That kind of savings is nothing to laugh about. The program will free up money that could be better used on education. The students might be able to save the world on their own, but they are certainly taking the first steps in our community to mitigate some of the effects of global warming. The lease we can do is to stand with them. Visit their web site at http://www.cusdsolar.org to learn more about their project and sign their petition. It’s the least you can do. I fully support the Ecology Action Team. We need solar now and we need a lot of it. Renewable energy is the future. I applaud your efforts. Keep up the good work.